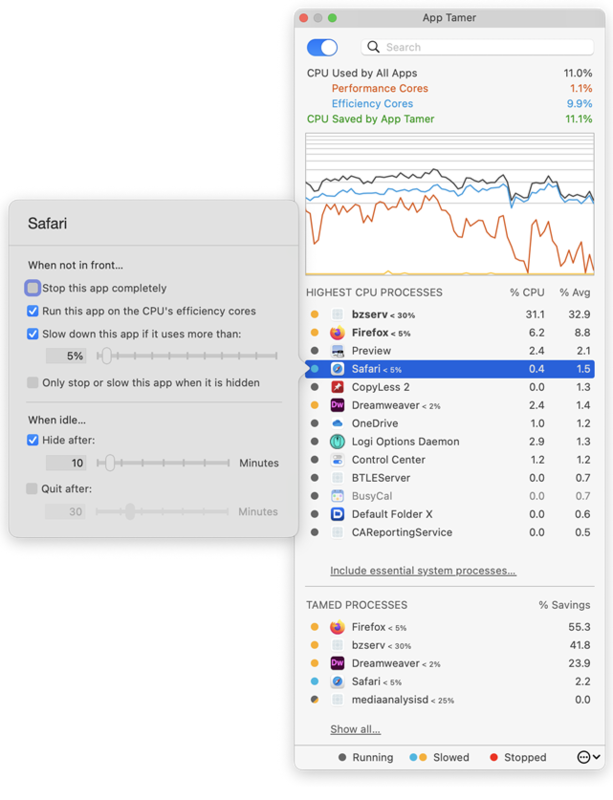 Use App Tamer 2.4.4 to throttle apps only when you're using your Mac. This version is a free update for App Tamer 2 users. Please note that if you still have App Tamer 1.x, this is a $7.95 paid upgrade if you purchased version 1.x before July 1, 2013. Corrected a problem that could cause App Tamer to use more CPU and energy than it should. Fixed a bug that could cause App Tamer to quit randomly. App Tamer can now be configured to let all processes run at full speed when the keyboard and mouse are idle (ie. you're away from your Mac). Fixed a bug that could cause App Tamer to quit if it was launched when the computer was under extremely high load. 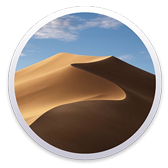 Corrected a problem that could prevent App Tamer from waking apps when you clicked on them in the Dock. Enhanced App Tamer's 'wake' AppleScript command so you can wake up all applications. If you have trouble contacting our servers, please let us know at support@stclairsoft.com.